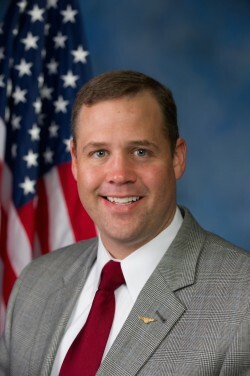 Today, Congressman Bridenstine voted to promote Oklahoma’s energy industry by supporting H.J.Res. 36, legislation to block the Bureau of Land Management’s (BLM) overreaching and duplicative methane emissions rule. The bill passed the House 221-191. In the 11th hour of the Obama administration, the BLM rushed through an unnecessary and duplicative mandate that hinders energy production in Oklahoma, increases production costs, and raises prices for consumers and businesses across the United States. The regulation aims to reduce methane emissions from natural gas production on federal and Indian lands, driving down production and federal and tribal revenues. Federal on-shore natural gas production declined 18 percent from 2010 to 2015, compared to a 55 percent increase on state and private lands. The industry has voluntarily reduced methane emissions by substantial amounts, capturing value, while still increasing production. Furthermore, the BLM lacks the authority and expertise to regulate air quality, which is already regulated by the EPA and the states. Several of the “midnight regulations” issued late in the Obama term are being reviewed under the Congressional Review Act (CRA). Congress has authority to review and block regulations within sixty legislative days of their finalization. Once H.J.Res. 36 is passed by the Senate and signed by the President, the BLM Methane Rule cannot take effect, and the agency may not reissue a rule that is similar. Previous Post: Oklahoma Online Sales Tax Unconstitutional?